The Daejeon Arts Collective is an association of artists from around the world living in Daejeon. The collective consists of artists from Canada, Congo, Ireland, South Africa, South Korea, and the United States. Currently, there are more than 20 active members, and there have been an estimated 50 members since the founding of the group in 2011. The first exhibition was in the fall of 2011 under the direction of Aaron D’Albey, who was director and organizer from 2011-2013. In 2013, the group formally became an artists’ collective. From 2013 to 2017, Rosalie Osborn Knaack served as president of the association. Since the spring of 2017, it was decided that the position of president would be retired and the group would instead have a team leader. The current team leader is Christopher Maslon. 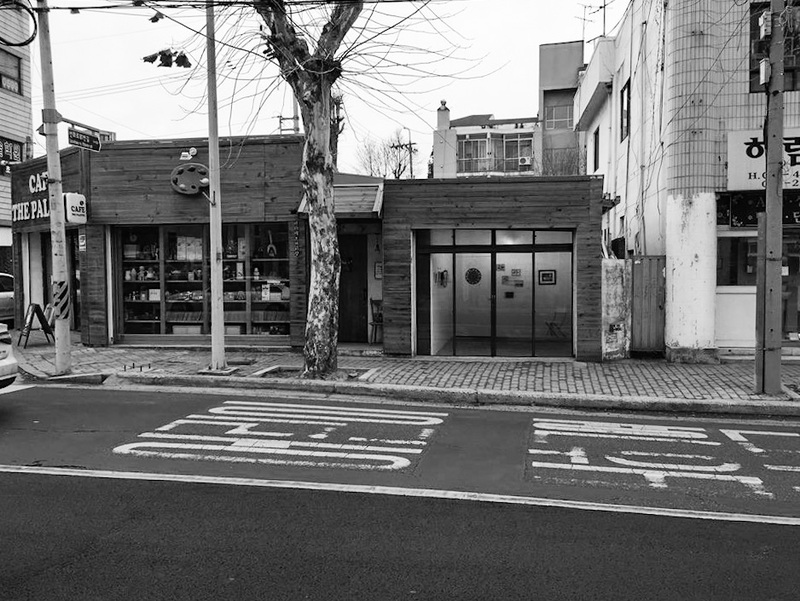 The Daejeon Arts Collective hosts exhibitions twice a year and has become an important element in the international community of Daejeon. Artists in the collective present a wide variety of work, including (but not limited to) painting, silk screen, ceramics, multi-media, embroidery, wood working, photography, paper cutting, and sculpture. Beyond the semi-annual Daejeon Arts Collective exhibitions, our members exhibit their work in galleries across Korea and internationally. 대전 국제 미술가 모임 는 대전에 거주하는 다국적(多國籍) 작가들로 구성된 조합형태의 모임입니다. 2011년 모임이 결성된 이후 50여명의 작가들이 함께했고, 현재는 미국, 남아프리카 공화국, 아일랜드, 캐나다, 콩고 그리고 한국 출신 20여명의 작가들이 활동하고 있습니다. 모임을 조직했던 아론 달베이의 기획 아래 2011년 가을 첫 전시를 시작으로 작가조합의 틀이 만들어 졌고 2013년 이후 제가 회장을 맡아 모임을 이끌고 있습니다. 매 년 두번의 정기전과 대전 지역의 국제적 공동체의 중요한 구성원이 되는 것이 저희의 주요 목표입니다. 회원으로 등록되어있는 작가들 은 회화, 조각, 사진, 공예 등 다양한 분야,다양한 재료로 작품 활동을하고 있으며 정기전 이외에도 한국은 물론 국제적인 갤러리에서 작품을 선보이고 있습니다. 감사합니다. Gallery D.A.C was an artist-run space with the intent on becoming a sustainable gallery. Gallery rental and membership costs helped us run the gallery by paying for the space, the general maintenance, workshops, and translations. Gallery D.A.C. provided workshops, exhibitions and other events led by national and international artists. The gallery was managed by Venus Lukic. 갤러리 DAC는 지속되는 갤러리의 의도와 예술가 운영하는 공간이었다. 갤러리 렌탈 및 멤버십 비용은 우리가 공간, 일반적인 유지 보수, 워크샵 및 번역 비용을 지불하여 갤러리를 실행할 수있었습니다. 갤러리 D.A.C. 제공 워크숍, 전시회, 국내 및 국제 예술가들에 의해 주도 다른 이벤트.갤러리는 Venus Lukic에 의해 관리되었다.